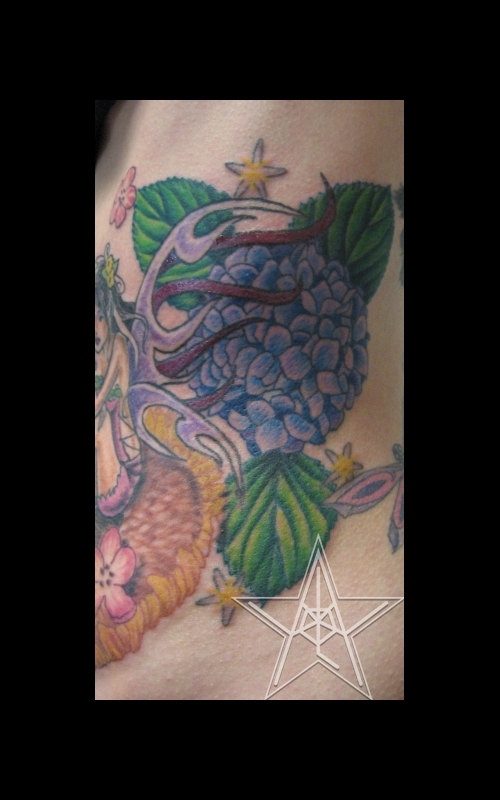 Dainty I Color faerie tattoo. 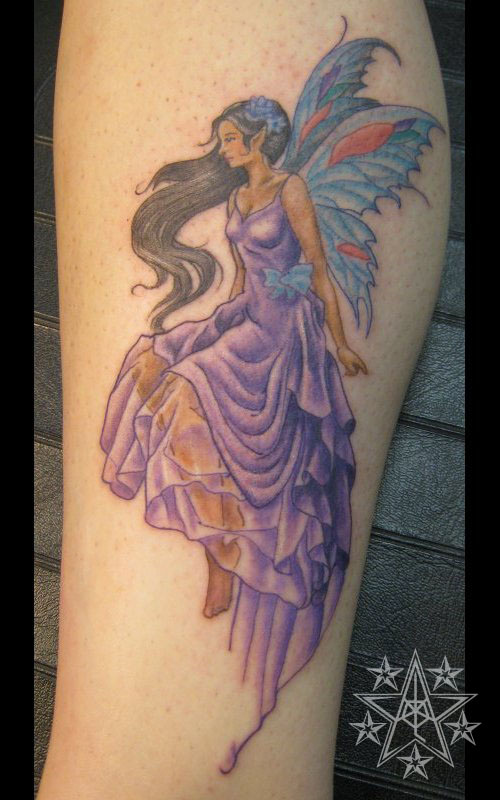 Dainty II Color faerie tattoo. 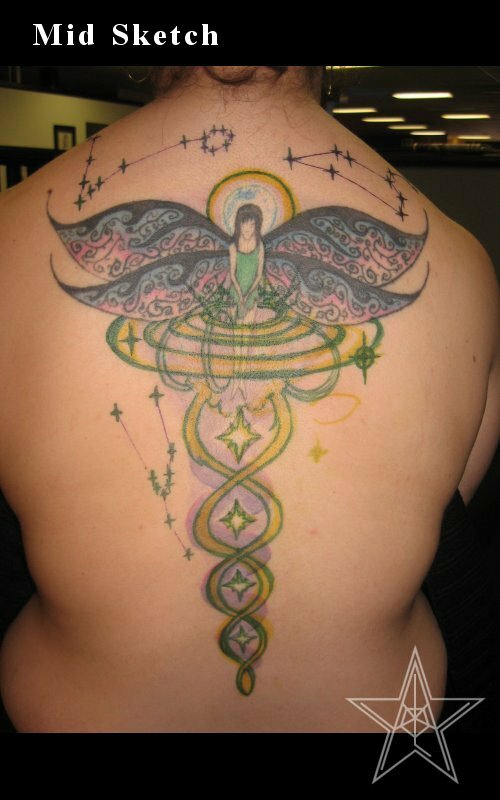 Lounging Color custom freehand faerie tattoo. 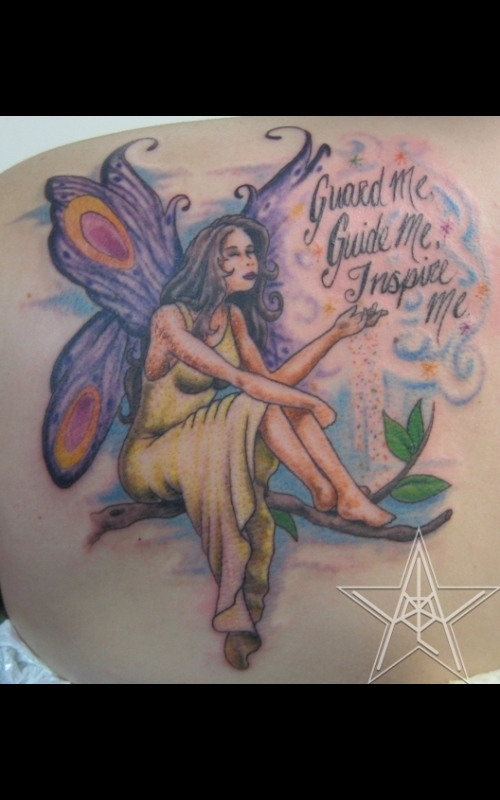 Guard Me, Guide Me, Inspire Me Color custom faerie tattoo. 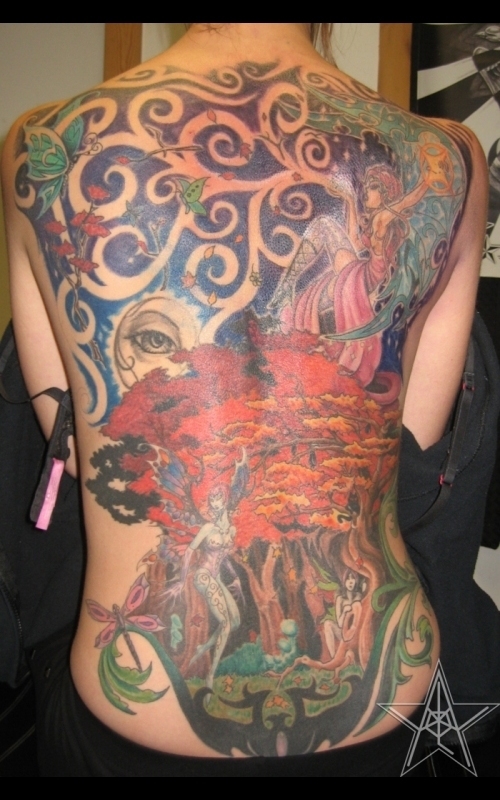 Faerie World Color custom faeries in the woods tattoo. Faerie on Sunflower I Color custom faerie sitting on sunflower tattoo. 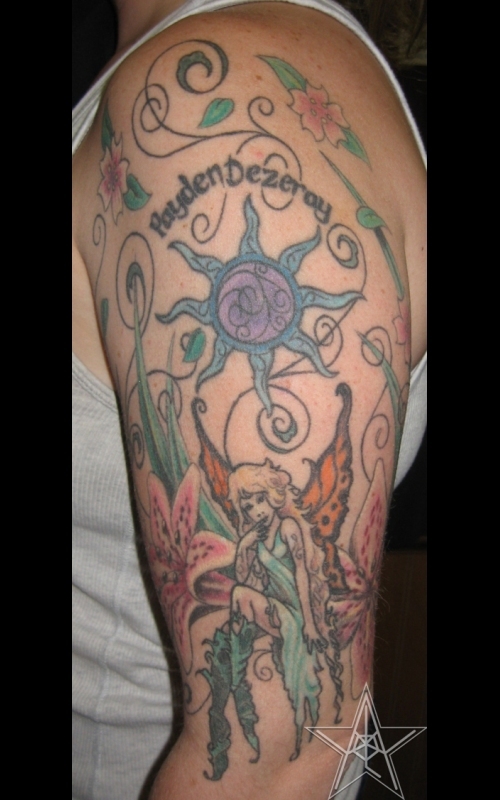 Faerie on Sunflower II Color custom faerie sitting on sunflower tattoo. 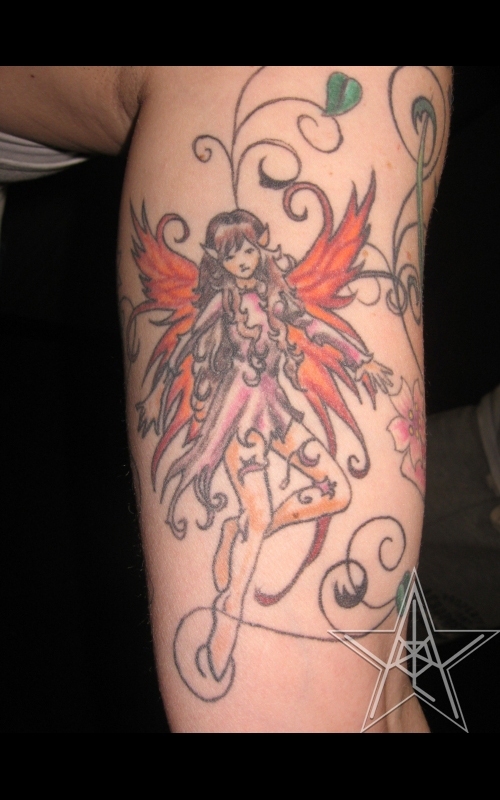 Sweet Pea Color anime faerie tattoo. 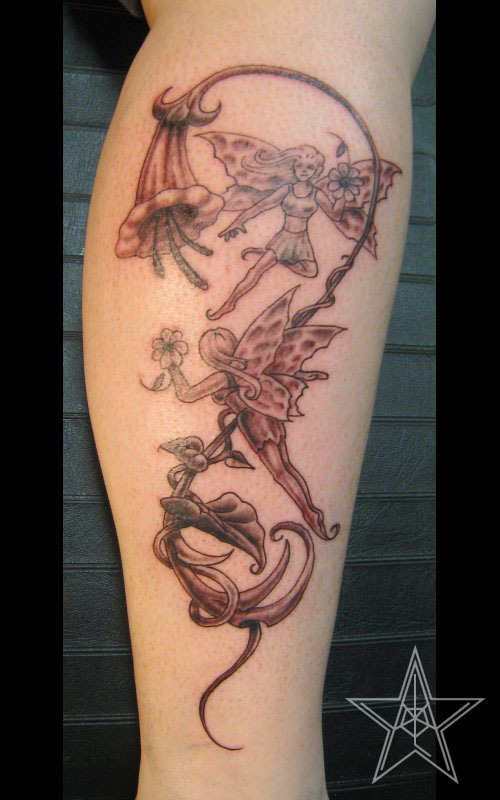 Playful Tattoo of faeries playing in flowers. 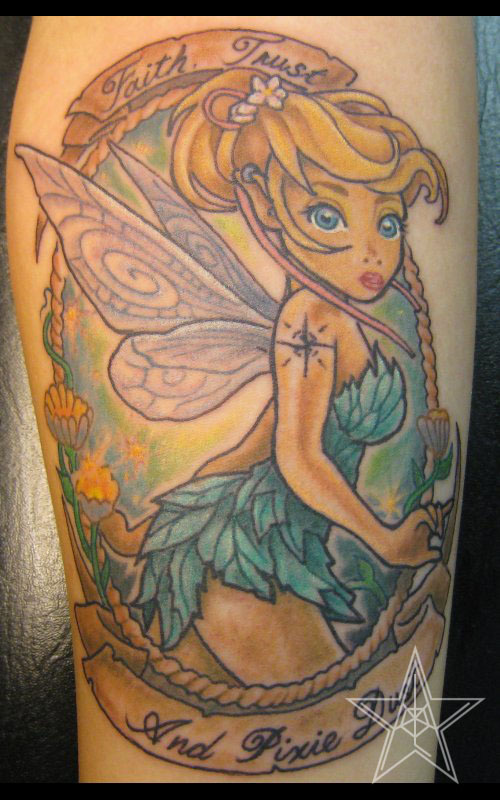 Tink Full color tinkerbell tattoo. 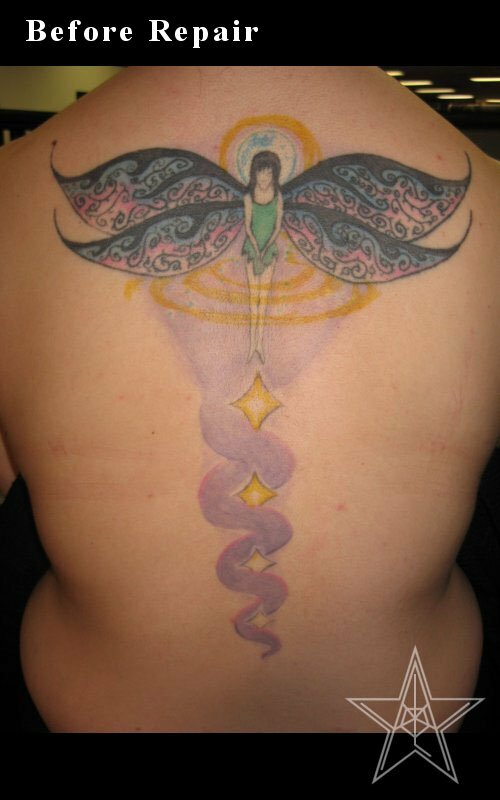 Elegant Fairy Long dress wearing fairy tattoo. 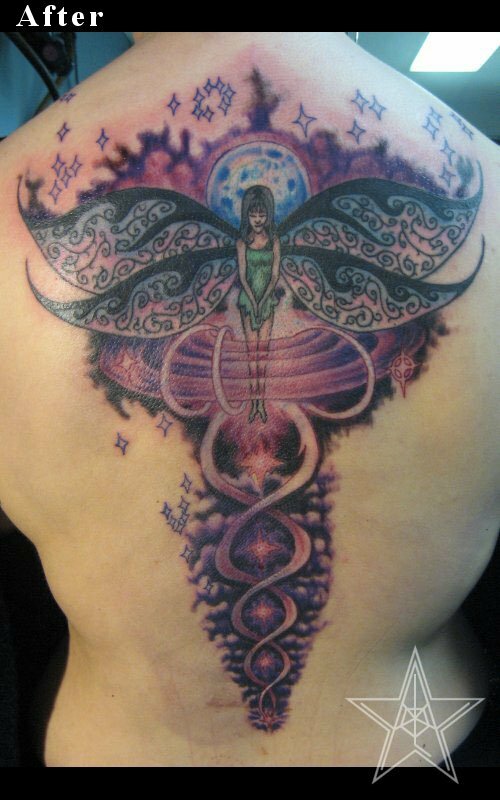 Faerie tattoos by Ray Reasoner Jr.